Love is in the air. 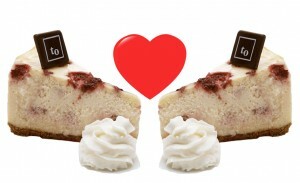 Whatever you’re doing with your special someone on the big day this week, we suggest you stop by and treat your sweetie to a slice of our award-winning cheesecake on February 14: at any Trees Organic location (Granville, Gastown, Yaletown Kitsilano or Richmond) on Valentine’s Day, you can get a 2-for-1 cheesecake slice from 5 pm to closing time! Heading out for a special Valentine’s Day dinner on this romantic occasion? A slice of cheesecake is the perfect rich, creamy, delectable dessert to top off the night. Fall in love with your favorite flavour all over again. We’re now serving up tasty organic coffee for Vancouver in more locations than ever — and you’re invited! 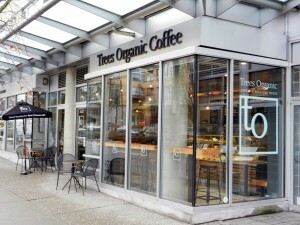 Come one, come all to the Grand Opening of Trees Organic Coffee & Roasting House’s newest location at 2655 Arbutus St. (near Broadway) on February 7. At our new location, you’ll find the fresh-roasted, great-tasting organic coffee you already love, along with our famous cheesecake, delicious lunch menu, pastries and snacks and exotic teas. 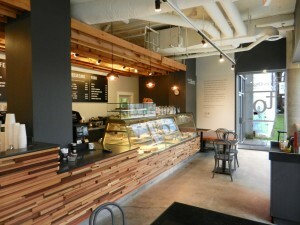 More reasons to come to our Arbutus cafe’s Grand Opening. Prizes, samples, deals and more! Coffee & cheesecake samples. Test out our flavours and see which ones you like best! Prizes! You could win a gift card, coffee beans, or cheesecake just for showing up at the right time. Sweet deals on our coffee drinks, cheesecake, coffee beans and more. Bloggers, podcasters and tweeps, come talk to us at our cafe! Want to learn more about organic coffee? Fair trade coffee beans? How we roast our coffee? Or just want to do a little taste-test review for your blog, podcast or your Twitter followers? 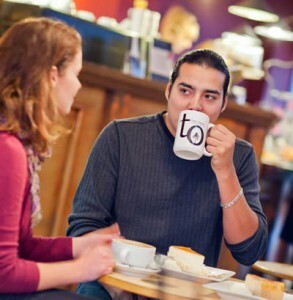 Just come in and talk with our friendly, knowledgeable cafe staff. We can’t wait to welcome you to our new coffeehouse location. Enjoy!